Hello members of the Gaming Boards! My nickname is Keranov and I live in Bulgaria. I like to listen to music in my free time. But my biggest hobby like everyone here is to play games! ARK: Survival Evolved, Minecraft, Creativerse, Making History: The Great War, H1Z1: King of the Kill, Grand Theft Auto: Vice City, Grand Theft Auto: San Andreas, Counter Strike 1.6, Counter Strike: Global Offensive, Team Fortress 2, Euro Truck Simulator 2, Mount & Blade: Warband, Paladins, Need For Speed: Most Wanted, Need For Speed: Payback, Plague Inc: Evolved, Youtubers Life, Game Dev Tycoon, Clash of Clans, Clash Royale, World of Warships, Mushroom Wars, Assassin's Creed IV: Black Flag, Banished, Cities: Skylines and much more. I still play most of these video games and waiting on new ones ( Mount & Blade II: Bannerlord ). If somebody wants to play Euro Truck Simulator 2 or Counter Strike: Global Offensive with me, add me on Steam. Send me a private message here and I will give you a link to my profile. Finally, I'm happy to join this community! Hope I will have a great time here and be welcomed by the members. 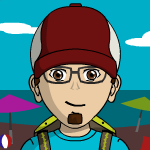 Welcome to our amazing Gaming Community here at GamingBoards.net keranov! I'm definitely glad you've decided to join us and I hope you're able to find some new gaming friends while sharing your adventure with us. 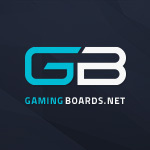 Welcome to our amazing Gaming Community here at GamingBoards.net keranov ! I'm definitely glad you've decided to join us and I hope you're able to find some new gaming friends while sharing your adventure with us. Thanks you very much for your warm welcome! Gaming Boards is really an amazing gaming community. I am pretty sure that I will have a great time here and will enjoy chatting with other members here and maybe play some games with them. Thanks you very much for the sweet welcome, Fathima! I am enjoying to be in this community a lot as everyone here do! You said that you have played most of the games which I have listed above. Which one is your favourite and why? Do you still play it?